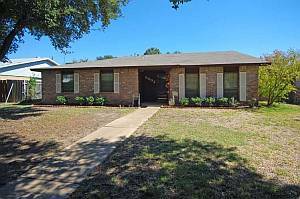 Plano TX Home For Sale – Great home with pool in the Heart of Plano. Bright and open floor plan with large formals and butlers pantry. Kitchen and family room with wood-burning fireplace overlook the backyard with diving pool. Perfect for entertaining. Generous master suite has walk-in closet and master bath has updated vanity and ceramic tile flooring. Main bath has also been updated including tile and flooring. New Heat and AC Coil in July 2011. See all Homes For Sale in Plano, TX. Plano TX Townhome For Sale – Contract NOW for August move-in on this gorgeous Valenica plan loaded with upgrades. Beautiful brick and stone exterior with hand laid brick porch. Welcoming 8ft Knotty Alder front door with speakeasy. Gourmet kitchen has stainless, granite, gas, convection oven, and maple cabs. Two dining areas great for entertaining. Gas on private patio. Energy efficient with 16 SEER HVAC, radiant barrier, cocoon insulation, double pane and low E windows. With real estate leasing going strong in many parts of the nation, you may be considering getting into Real Estate Investing. In this blog, I’ll describe some of the basic terminology. All examples will be based upon a $100,000 purchase price, $1,000 a month rent, $300 a month operating expenses, and a $450 a month mortgage. GRM is used to describe a ratio between the cost of a property and the anticipated rental rate. It calculated by dividing the purchase price of the property by the monthly rent. In our example, we would use $100,000 / 1,000 to arrive at a GRM of 10. The higher the number is the better. The Capitalization rate is a ratio between the Net Operating Income and either the original or current market value of a property. We would use $8,400 / $100,000 to arrive at an annual Capitalization Rate of 8.4 percent. Cash Flow is the movement of cash in and out of the property. Positive cash flow is usually the goal. It is calculated by subtracting the Net Operating Income and any existing debt from the Gross Income. We would use $1000 – ($300 + $450) to arrive at a monthly Cash Flow of $250. Occupancy Rate is the ratio between the amount of time a property is rented and the amount of time is vacant. If there is no actual data, I usually use 90 percent as a starting point for analyzing a property. Knowing the basic terminology and how to calculate them is essential to evaluating any real estate investment purchase. Looking to purchase investment properties in the North Dallas area? Contact us! We have the experience and knowledge to find good investment properties, lease them to suitable tenants, and provide on-going property management if needed. I’ve been watching the rental market in the greater Dallas area for a number of years. It’s finally a landlord’s market again. Since 2008 we have seen a steady increase in capitalization and occupancy rates. We’re to the point today that any decent rental property is leased in less than a week. There’s nothing magic about the increase. It’s simple economics. As the availability of easy money dried-up in 2008, those would-be buyers went back to leasing homes. This allowed the glut of inventory we once had to slowly decrease. This stabilized occupancy rates and prevented the downward spiral of capitalization rates we saw during the market boom. 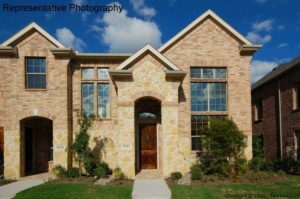 Come forward to 2010 and there are a couple of other factors that are driving the need for rental and lease homes in DFW. As homes went into foreclosure or were short-sold, those homeowners had no choice but to look for rental homes. While the Texas economy is stable, many of the people who could still qualify for a mortgage decided to sit it out and continue to rent. These two factors have basically drained the rental market in the area. Currently I have almost 50 people looking for rentals and there are so few available. As soon as they come on the market, there are lots of showings and multiple lease applications. I listed a large home in Frisco on a Friday. I had four applications on Monday. These were solid applicants with high credit scores, little debt, and substantial incomes. We recently purchased a property for a local investor and leased it for him in less than a week. The Gross Rent Multiplier exceeded 10 with a Capitalization Rate of about 6.5 percent. This is prior to taxes and does not factor in appreciation over time. 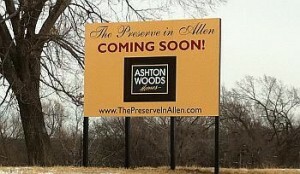 It’s a great time to purchase investment property! 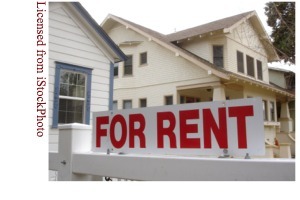 Prices are low and the need for rental homes continues to climb. Are you looking to purchase investment properties? Contact us! We have the experience and knowledge to find good investment properties, lease them to suitable tenants, and provide on-going property management if needed. August 5, 2011 – RE/MAX Dallas Suburbs swept the Dallas Council Second Quarter Awards at an Awards Ceremony held earlier today. 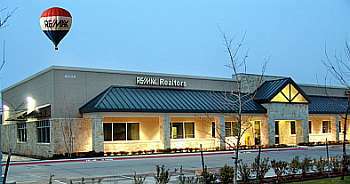 RE/MAX Dallas Suburbs is a company built on the promise of exceptional customer service. Whether you are selling your home or searching for that special place to call your own, you deserve to work with someone who has your best interests in mind. The Branch Team is proud to have contributed to these awards. In Part Two of the series, I presented four types of Fraud for Profit Schemes. In Part Three, I will present the final four types. Inflated Appraisals – An appraiser purposely completes an appraisal based upon false or misleading date in order to over- or under-state the value of the property. This scheme usually involves the buyer, loan officer, or real estate agent and their knowledge of the misrepresentation. Foreclosure Schemes – A person offers to assist an underwater or preforeclosure homeowner. The scheme almost always involves transferring the deed to the property. The homeowner is usually asked to pay substantial upfront fees for the service. The person pockets the up-front fees and then quickly sells the property. The homeowner is left without recourse since they no longer own the home. 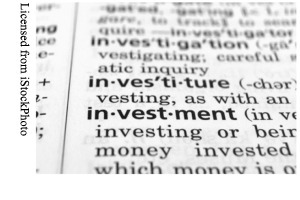 Equity Skimming – This scheme almost always involves an investor. The investor uses a straw buyer to purchase the property. Shortly after closing the straw buyer signs a deed transferring ownership to the investor. The investor makes no mortgage payments but rents out the property collecting the rent until the property is foreclosed upon. Air Loans – The scheme has no real property and no real buyer. Both are imaginary and devised, almost always by a mortgage broker. 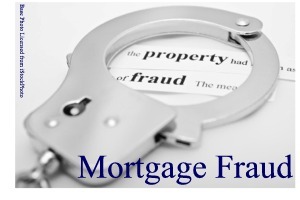 The broker originated the loan on behalf of the lender with the intent to generate profit from the fraudulent mortgage. After closing, no payments are made on the loan and the lender is left with nothing to foreclose on. While much has changed in the past few years, many of these schemes are alive and well. We recently had a client who lost their home to foreclosure. They were approached by a Loan Modification Company who offered to file a lawsuit to stop the foreclosure. As part of the deal, the homeowner was to pay them $2500 and sign over the deed to the property. Thank goodness they called me prior to going ahead with the deal!